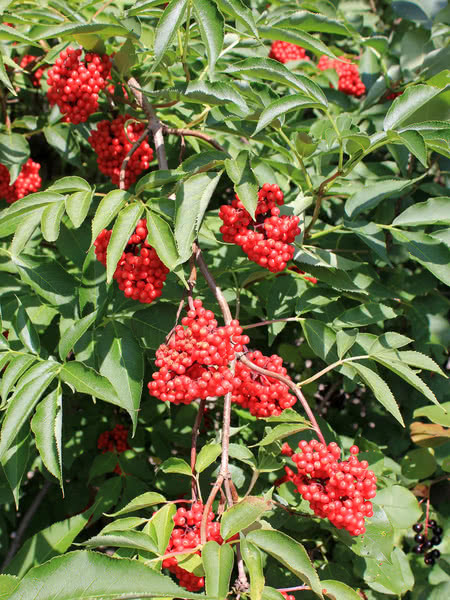 Red Elderberry is an attractive, medium-sized deciduous shrub. 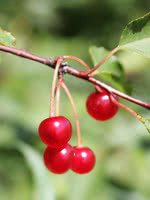 It produces clusters of white flowers in the spring and bright red berry-like drupes, which provide beautiful contrast against its coarse, textured green foliage. 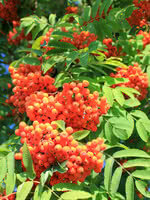 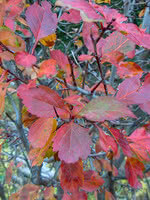 Red Elder can be pruned as a small single or multi-stemmed tree.